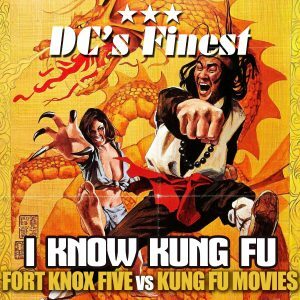 There was no turning down legendary DC beatmakers Fort Knox Five yesterday when they asked if MB would like to do a free giveaway of FK5’s I Know Kung Fu. Lost in the vaults for years, the track had been gathering dust among jade statues and ancient scrolls until it was unearthed in the quest for material to include on the FK5-curated Bomb Strikes comp. Funk N Beats Vol. 4 last year. 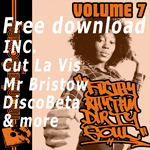 The discovery revealed vintage breakbeat skills from a time when FK5 took on martial arts flicks in a manner reminiscent of the mighty Depth Charge and triumphed, seeing off Eagle Claw and Southern Dragon Style with a combination of Black Heat’s Zimba Ku break and a well-positioned Run DMC scratch. What better time to unleash it then than now as FK5’S Steve Ruskin begins a 3-month summer tour of Australia, Canada and the U.S. Cop I Know Kung Fu (DC’s Finest Remint) below, grasshopper and find tour dates below that.